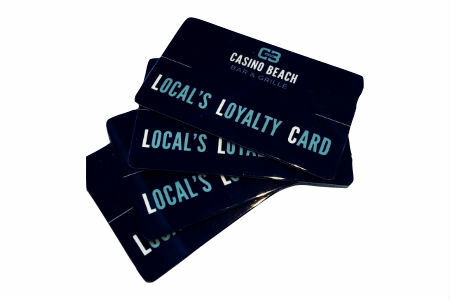 Casino Beach Bar’s Locals Loyalty program was designed to show our appreciation to Pensacola locals for their continued support and for sharing this beautiful place that we call home. Are you an Escambia & Santa Rosa County local? Next time you’re at CBB, sign up for your Locals Loyalty Card by asking your server or bartender.